When I was riding the train home from Osaka castle a couple of weeks ago, I saw a poster for Osaka Oktoberfest. 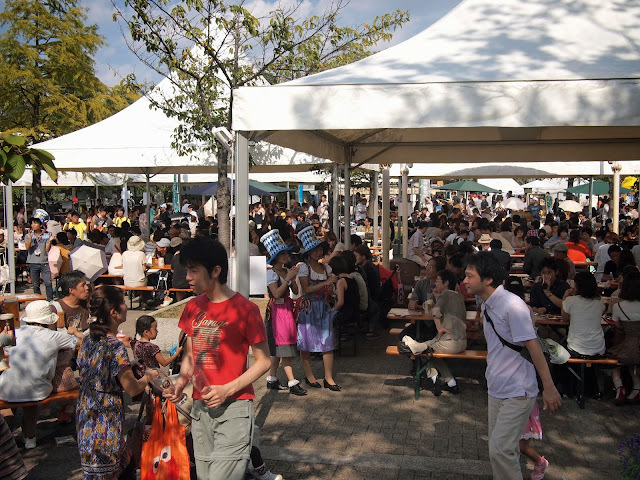 A quick search on my phone told me that it was in Tennoji Park and would be there til September 29th. I spent a week asking around to see if anyone wanted to join me, but everyone was busy or sick. 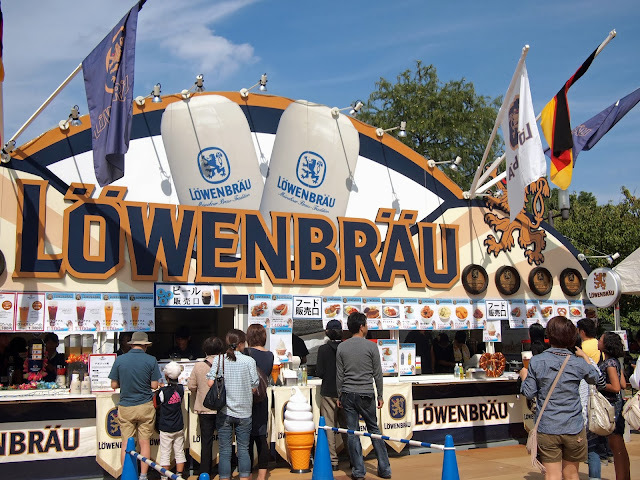 I wasn't going to let that stop me, so on Sunday of the three-day weekend I set off in search of sausages, pretzels and good German beer. 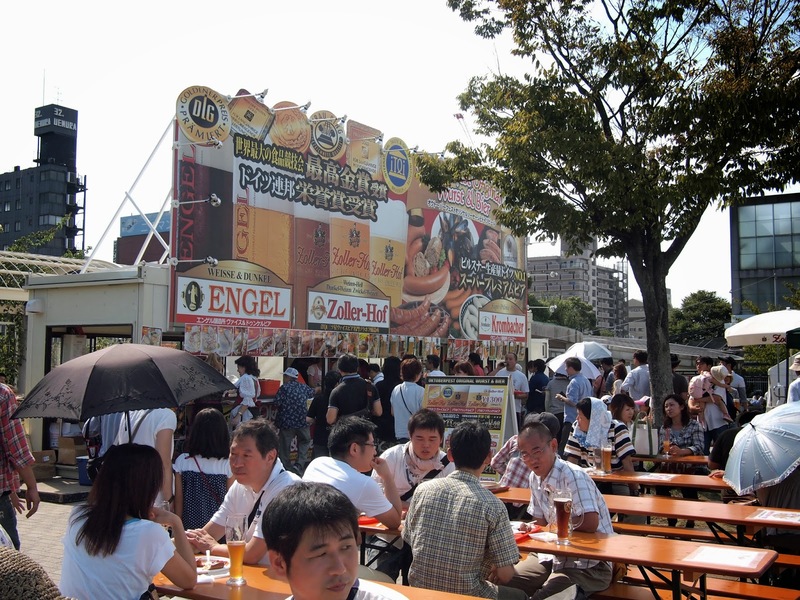 Getting to Tennoji was easy...finding the right exit out of the station was a different story! 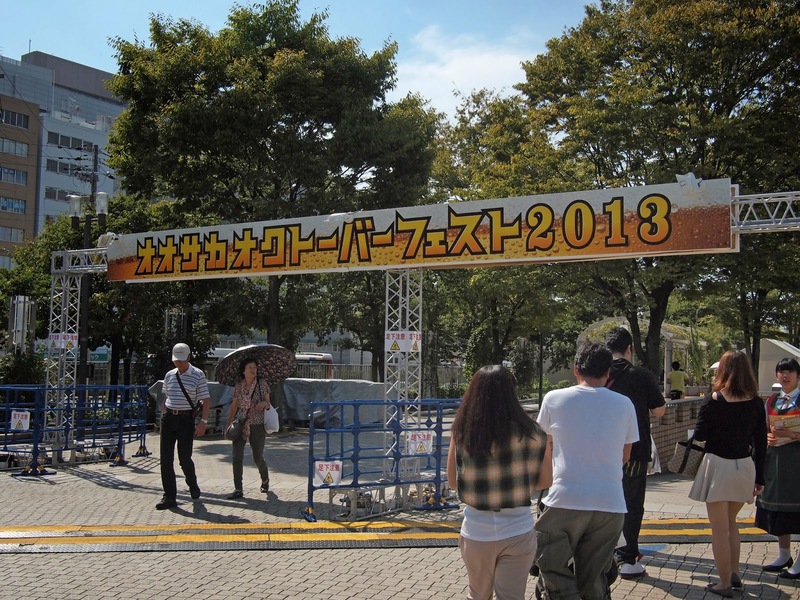 Eventually I found myself at the park ticket gates. The admission to the park is ￥150, so I bought my ticket and found the entrance to the Okoberfest just inside the gates. 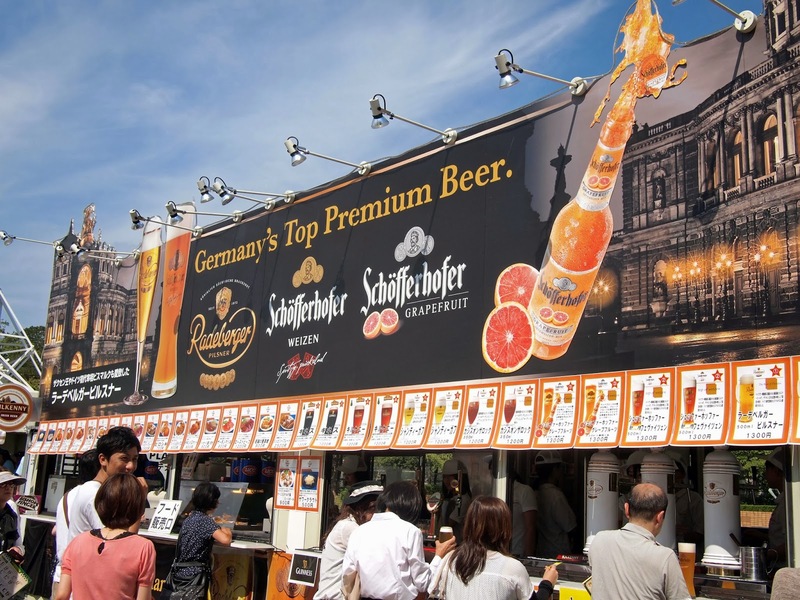 I did a quick loop to scope the place out and see what beer I would get first. 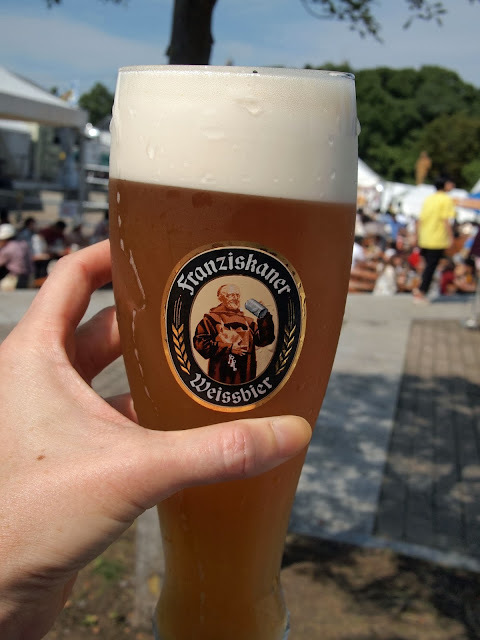 I opted for Franziskaner weissbeir, since I knew I liked it, and the drinks weren't cheap (beers started at ￥1000 plus a ￥1000 refundable deposit for the glass...so we're talking a minimum of $20 for your first beer!) 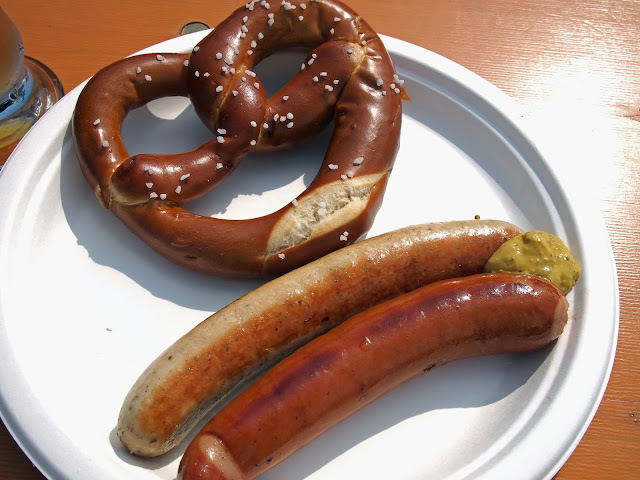 I popped to the stand next door for wurst and a pretzel, then found myself a seat. 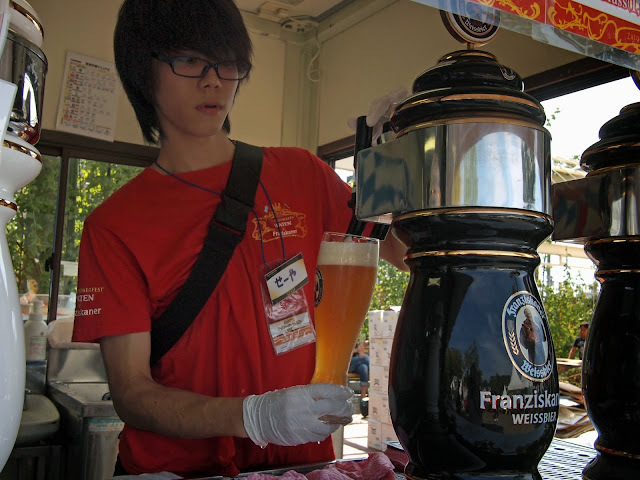 I was eventually joined by a couple of young Japanese guys anxious to try out their English. 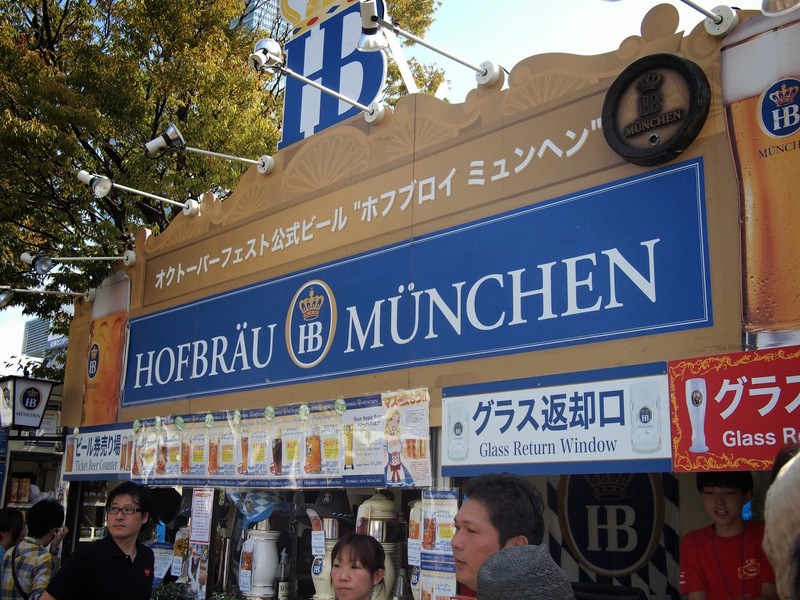 I humored them until I finished my beer, then set off for a second round. This time I got Schofferhofer Weizen (and a second pretzel...those beers are big!). 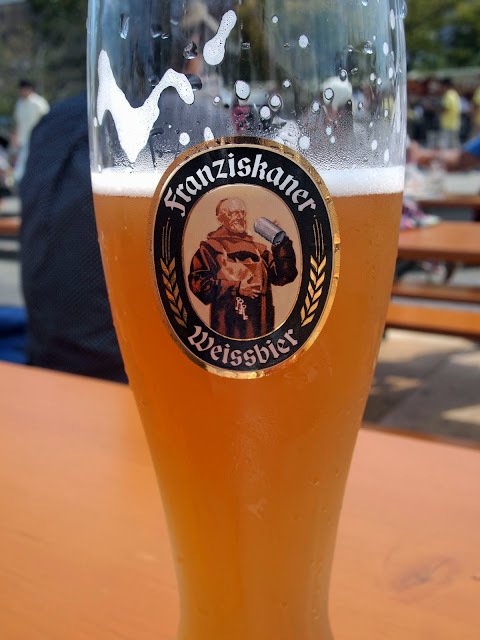 It was nice enough, but I like the Franziskaner better. 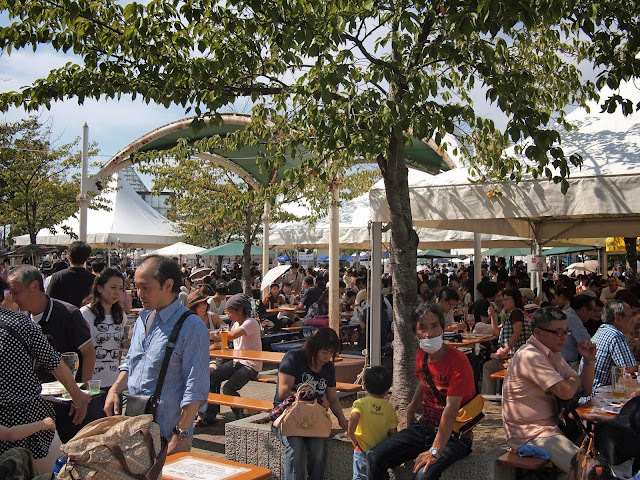 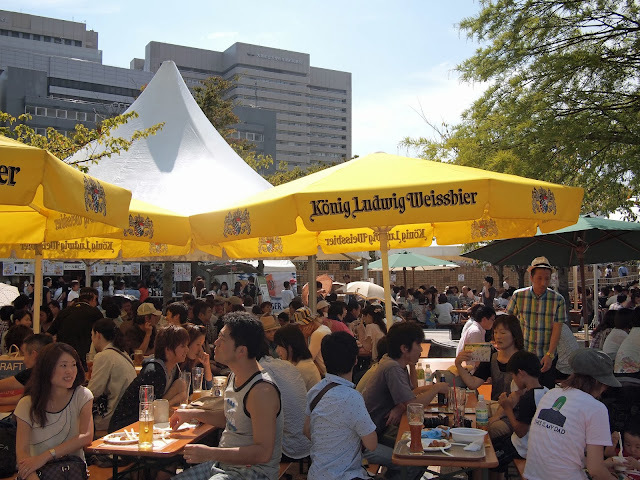 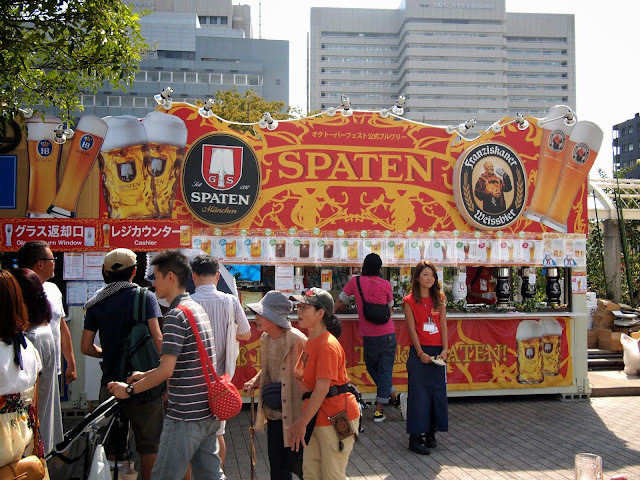 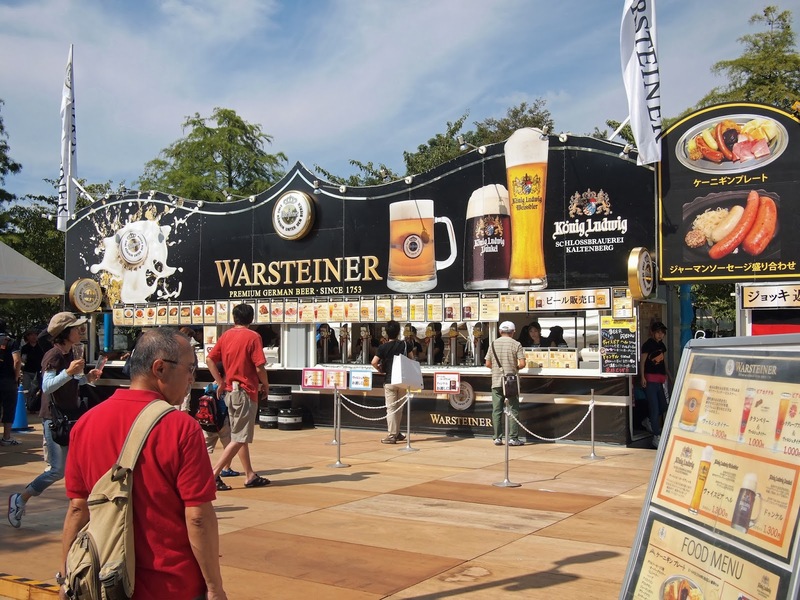 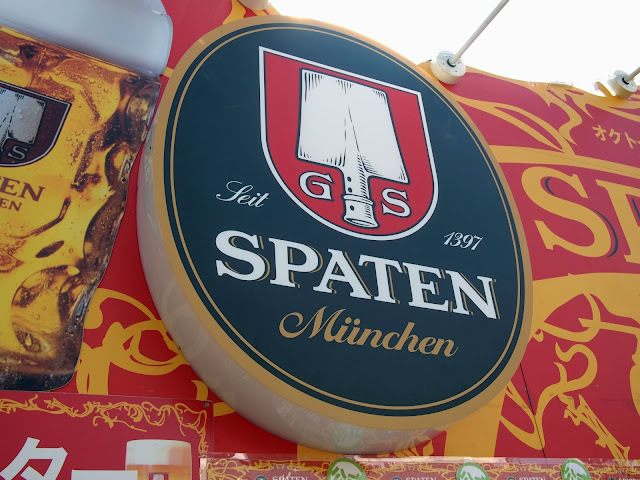 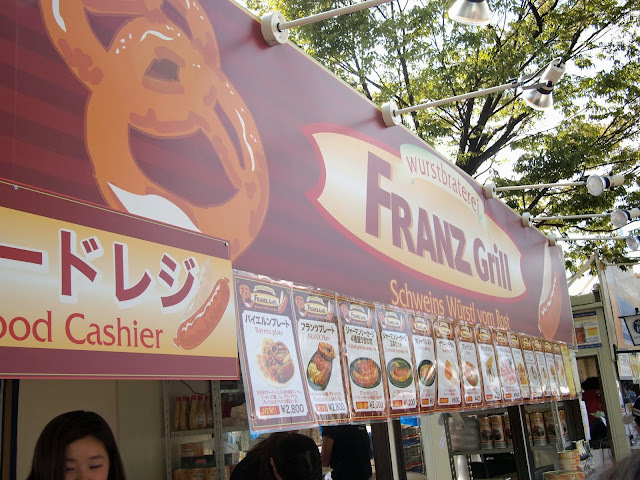 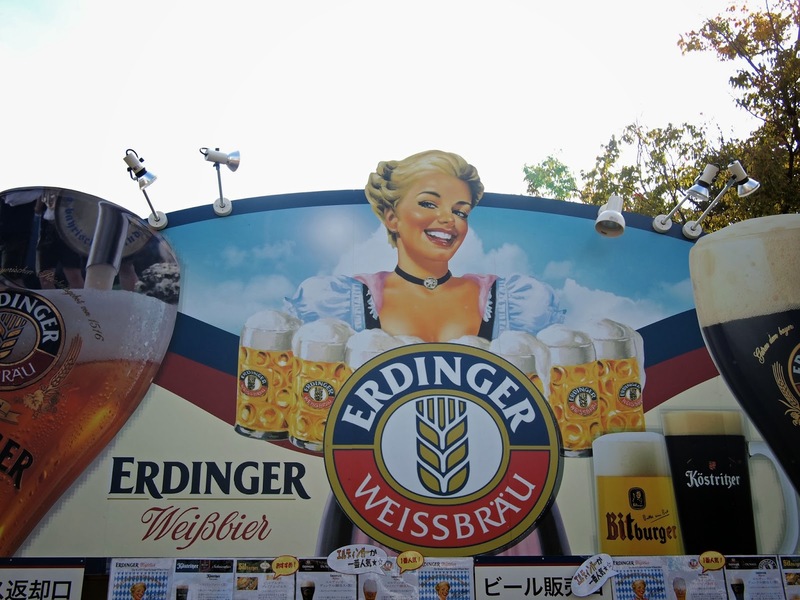 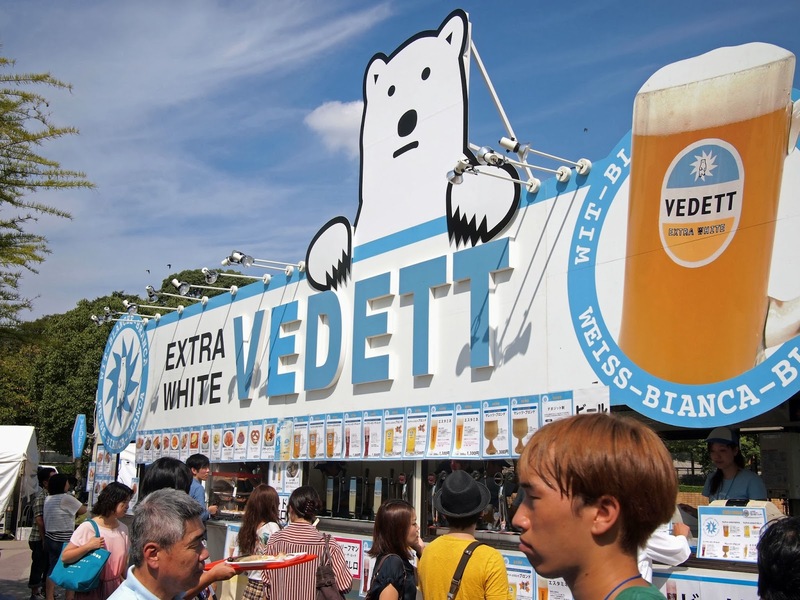 I've never been to the real Oktoberfest (it's on my bucket list) but I really appreciate Japan's attempts at the Osaka Oktoberfest, and the Umekita Oktoberfest I stumpled upon in June. 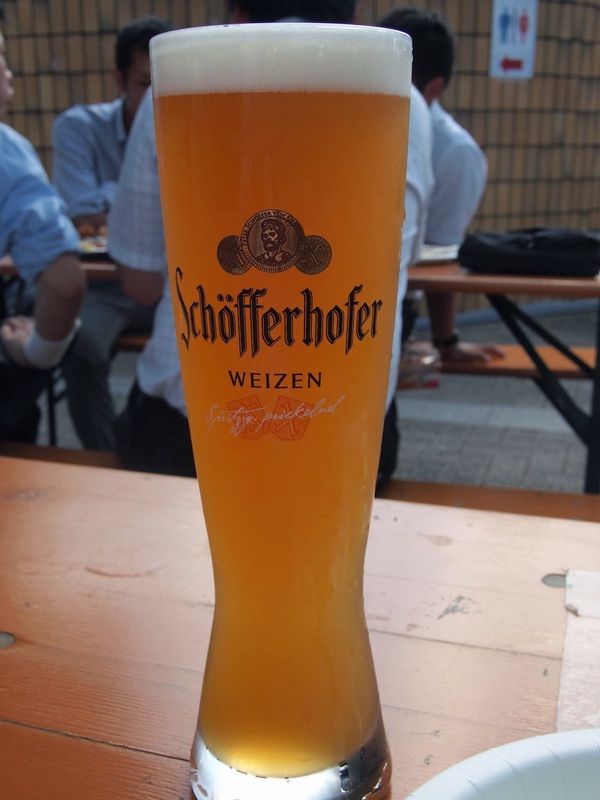 It was definitely an unbeatable way to spend a Sunday afternoon!